Guitar Hero Live will be hitting stores in less than two weeks, but before it does, take a look at the game’s full Trophy list. In other Guitar Hero Live news, Activision and the official PlayStation Blog asked staff members at Freestyle Games, the developer of Guitar Hero Live, which songs they thought were the hardest. Check out a condensed version of their list below, or go to the PS Blog to see the whole list. 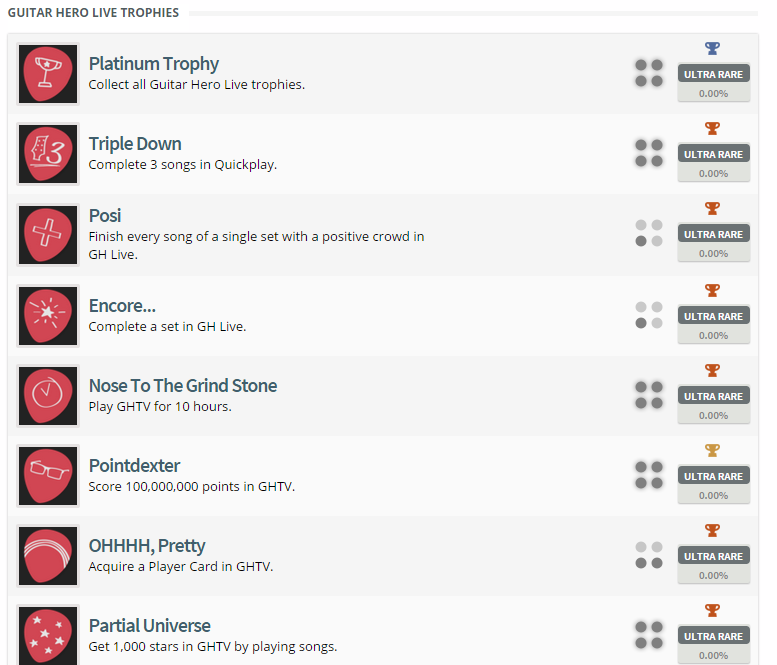 Which Guitar Hero Live Trophies are you most excited about getting in two weeks?